James is a Solicitor within our Commercial Property Team specialising in all aspects of commercial property, providing advice and assistance to clients on a local and national basis. 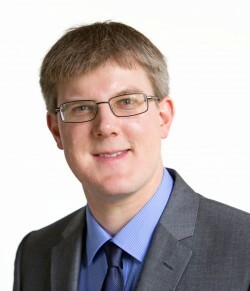 James graduated with a degree in Modern History from the University of East Anglia in 2002, before settling in Norwich to pursue a career in law. He completed his Postgraduate Diploma in Law in 2003 and went on to study at the College of Law in Birmingham, completing his Legal Practice Course in 2007, and qualifying as a Solicitor in 2010. During his time at other local firms, James dealt with all aspects of property work, both residential and commercial. James joined the Commercial Property Team at Leathes Prior in June 2016, he is able to provide advice and assistance with all commercial property matters including leasehold and freehold acquisitions and disposals, landlord and tenant matters, commercial development, commercial leases and investment property. Away from the office, James volunteers as a charitable trustee with the Indigo Dyslexia Centre. He is a keen skier, airsofter and an avid reader, whilst also taking the time to follow a variety of sports, including flying to Australia to see England retain the Ashes in 2011 and attending the first Formula E race at Battersea in 2015. James Allen provided an excellent service on a difficult transaction, we would recommend him to friends and Family.